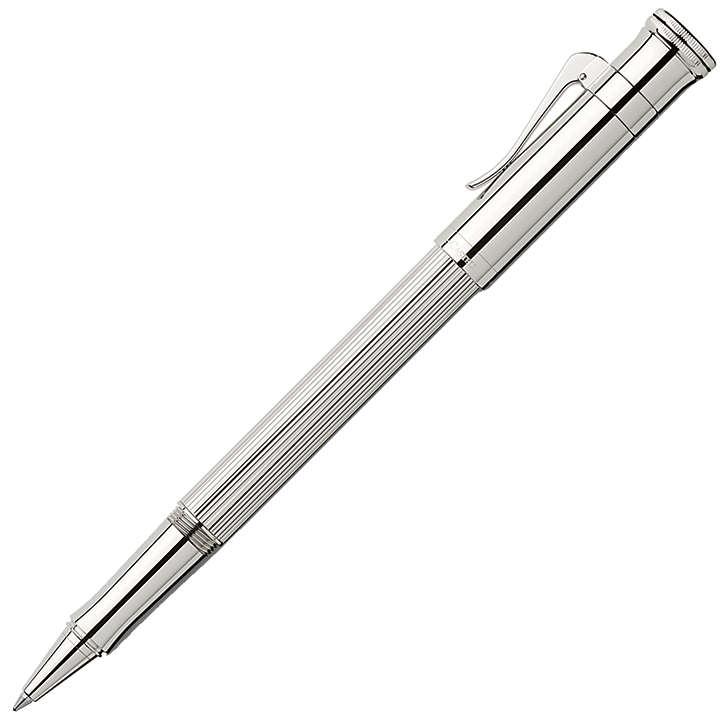 This luxury rollerball pen is made with solid Sterling Silver and is from Graf von Faber-Castell’s ‘Classic Collection’. 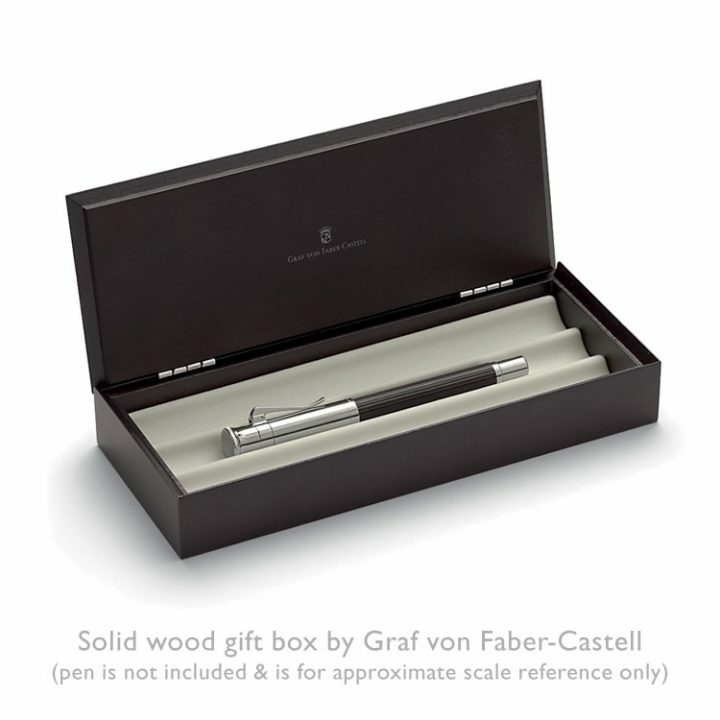 It has a precision point which glides smoothly over the paper and is supplied with a beautiful wooden gift box — see below for more details. 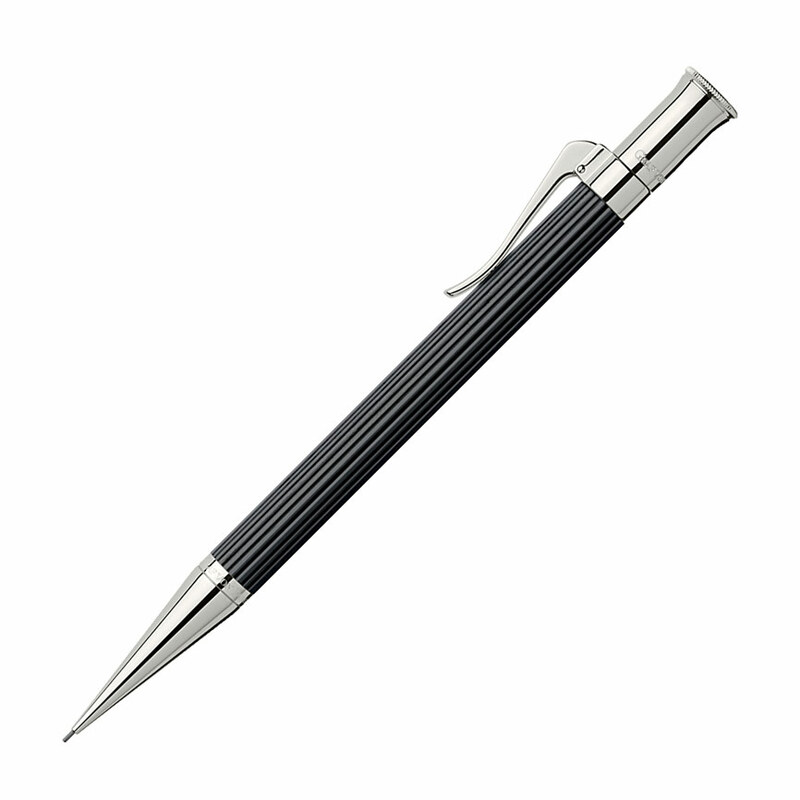 This luxury rollerball pen is made with solid Sterling Silver and is from Graf von Faber-Castell’s ‘Classic Collection’. It has a precision point which glides smoothly over the paper. Writing instruments in this range come with a matt-finish wooden gift box, which includes a draw-string fabric pouch, a small information booklet and an integral tray insert which has room for up to three implements. 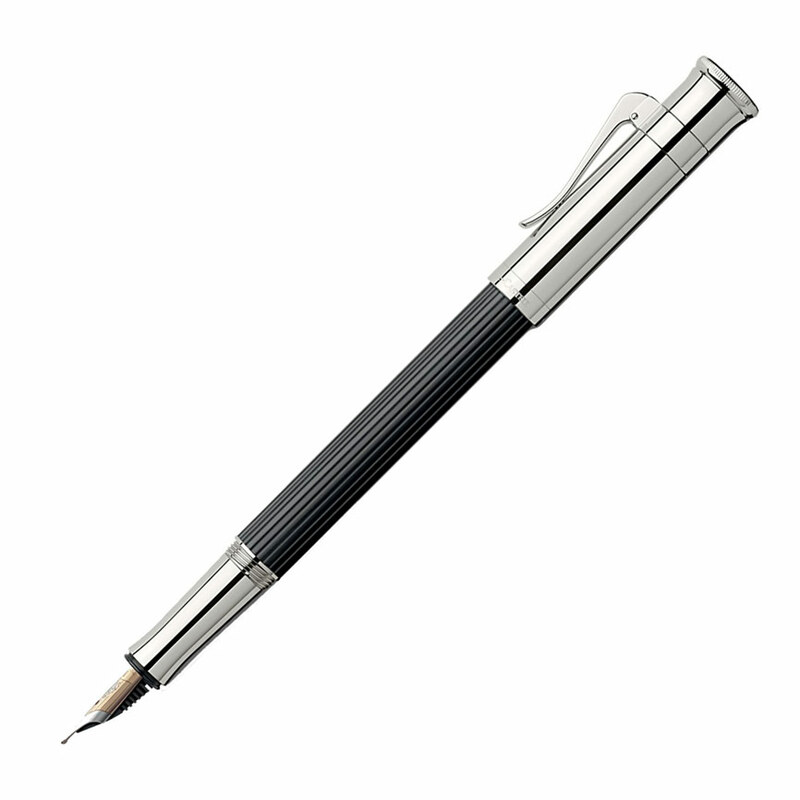 The Classic Collection fountain pens, rollerball, propelling pencils and ball pens by Graf von Faber-Castell are designed as matching sets and are available in several variants.